Of course I am still stressed about him, but I am also feeling much happier as I know he is happy, happy making his own decisions about whether to be wild or not. The past few days I’ve had Sunny out his aviary in the open as much as possible. 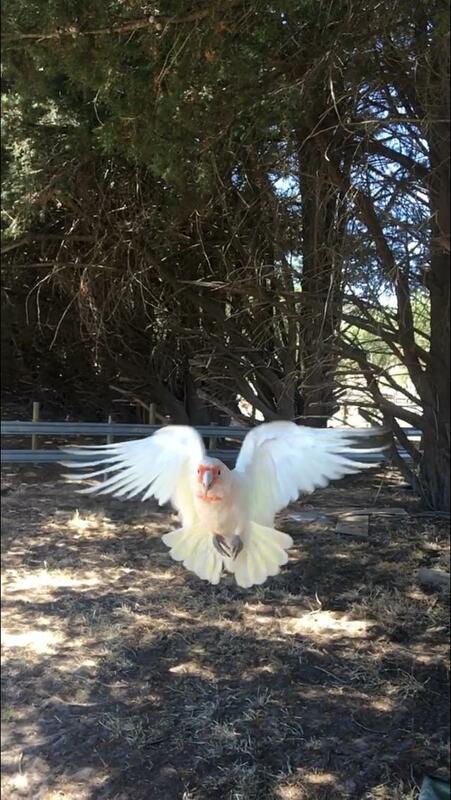 He’s flying so well now, gliding high and navigating trees. he loves digging up grass and plant roots, as well as picking bark off trees, fresh branches and fruits and pine cones. He stays near me, I can relax and read a book while he grazes. 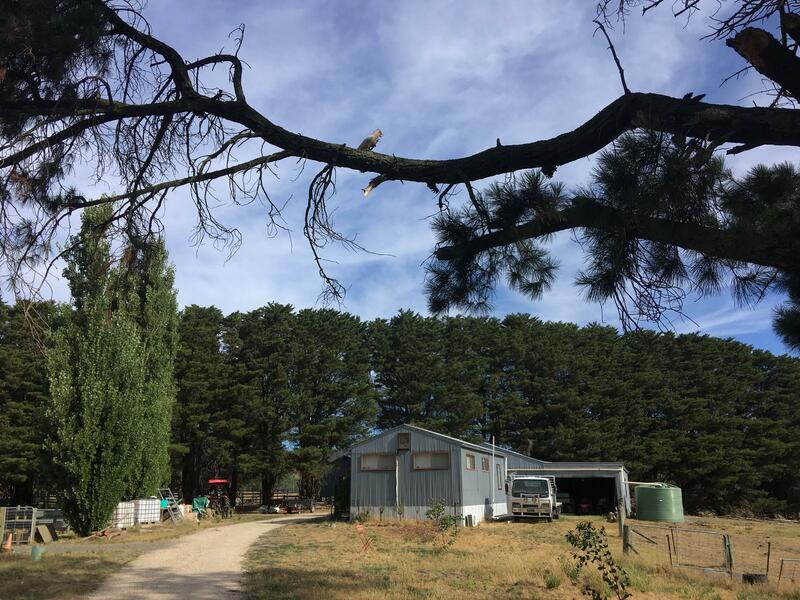 When flying he doesn’t venture too far, but far enough to be out my view for a few seconds, he’s getting braver each day checking out the property and surroundings. 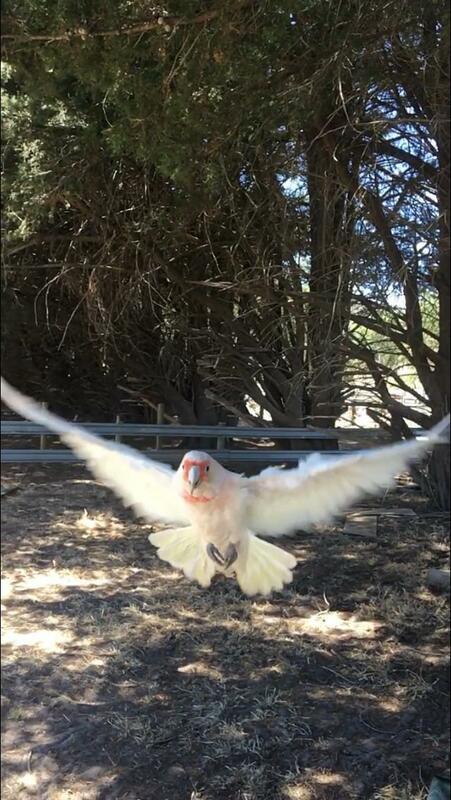 A few times he’s flown off with a a couple of cockatoos/Corellas but comes back after a couple of minutes. Today however a huge flock flew past and he took of with them. I didn’t panic at all and let him figure things out himself. I could see him up higher than he’s ever been before . Confident that I knew he had landed with most of them in a tree across the road I let him be for 10 mins or so. 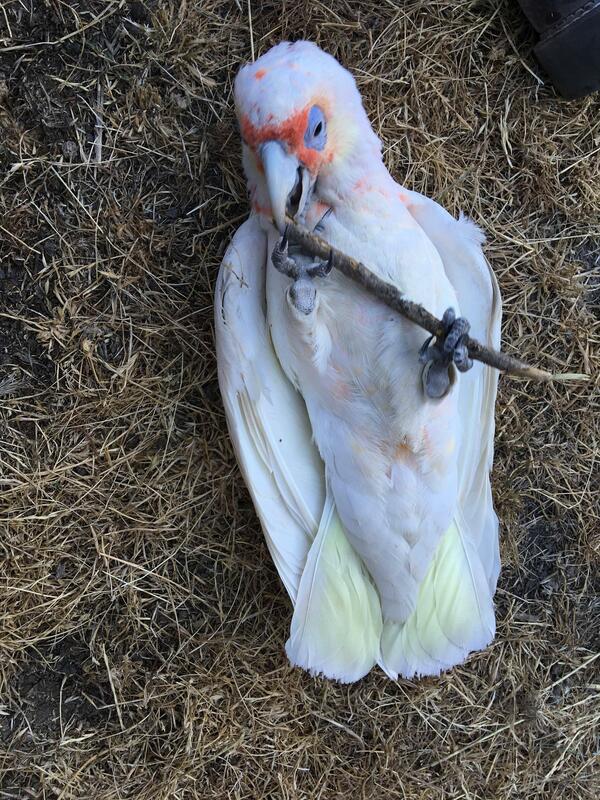 When I went to call for him I found a sick corella in a paddock for a split second I of course panicked it was Sunny! But very quickly could see it wasn’t. The poor thing is very poorly, diarrhoea, messy beak, sad eyes and tired. We’ve taken him in of course, given him some antibiotics and we see how he goes. He’s not in my care as I don’t want to pass anything to Sunny Incase it’s a disease, so he’s in the other house on the property. He waddles his little self back into his Aviary when he wants some easy food which is good to know that even when/if he does leave he can always know where to get food. 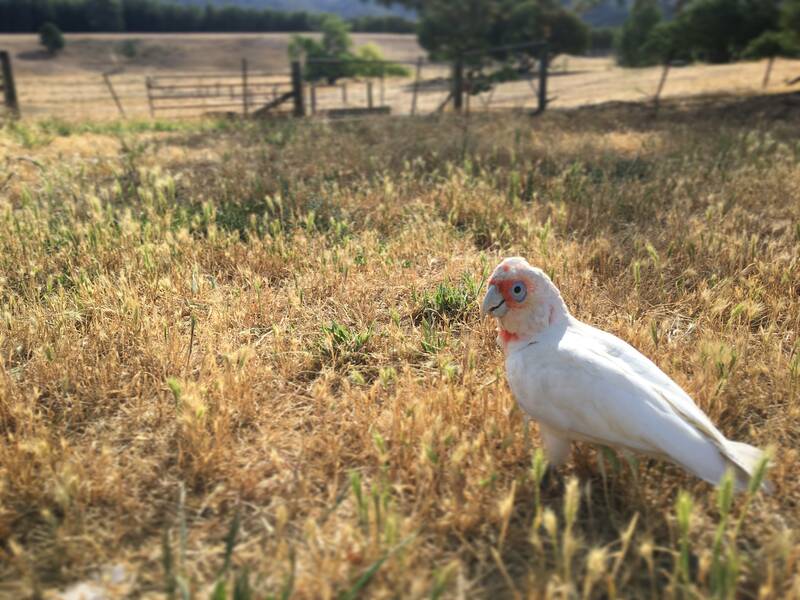 I’m going to take him down to the Dam that all the Corellas drink from soon so he knows where to get water. Sunny is the best little creature I’ve ever had the pleasure of caring for, he is so affectionate, funny, cute and cheeky. I’m going to be lost when he decides to leave but I really do think it’s the right thing for him. I will worry everyday but I’m giving him the best chance I can give him. He isn’t happy in the Aviary for long anymore which is helping my decision. If he decides never to leave that’s fine too! I LOVE his company, he’ll always be welcome to stay. Photos to follow, just uploading! Oh my goodness, what an absolute character he is!! It sounds like he's taking good steps in growing to be independent - a bittersweet feeling for you. Whatever Sunny decides, I'm sure he'll do fine and be happy. Sunny looks better and better every time you post pictures of him, Hannah! You're doing a marvellous job with him! DO keep the sick corella away from him (as you've been doing). 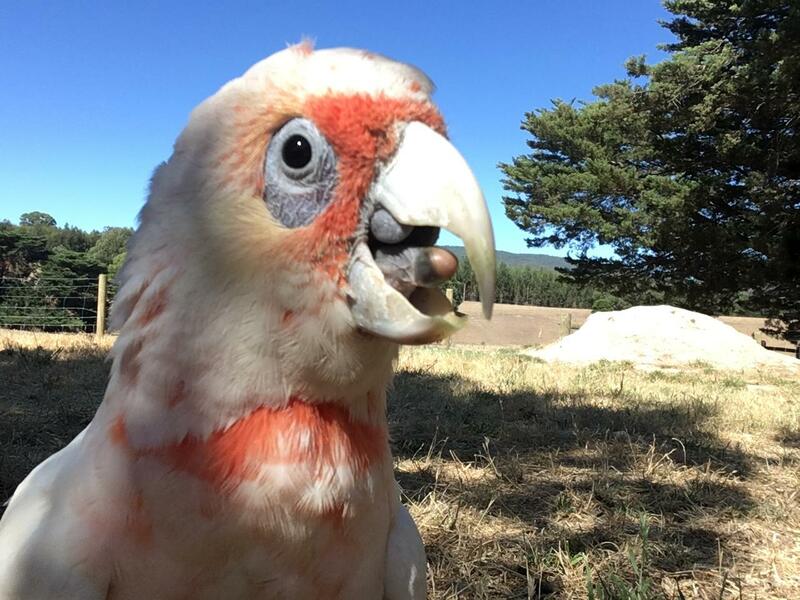 It might have PBFD, which is scarily common in the wild flocks (at least, it is in NSW). Let us know how the poor thing gets on, won't you? Rosetta (who has been *very* naughty lately) sends happy screeches to her friend, Sunny. 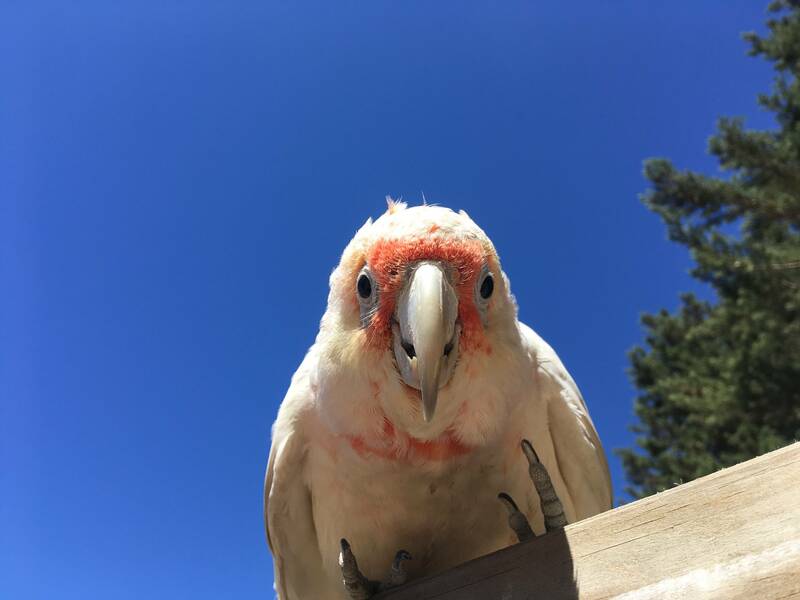 Thank you for the pictures, that is one gorgeous photogenic bird. Is he going to be an ambulance-bird when he grows up? Bringing you the ones that need help or bringing you to the ones that can no longer reach out? 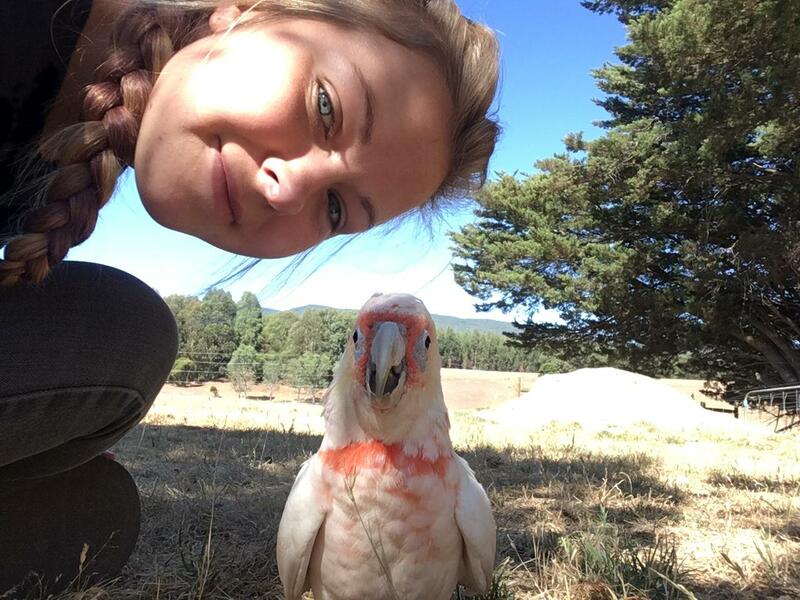 Awww Hannah, Sunny looks amazing and so happy. I have a ton of respect for you for letting Sunny decide in spite of the personal emotional struggle. Your photos are fabulous. I love the photo of Sunny looking down at you from the roof He DOES look so happy! If he decides he wants to be free,I hope at least he stops by to visit. Such a handsome 'too! Love the pictures and so glad he is getting lots of time to spend with the wild flocks. 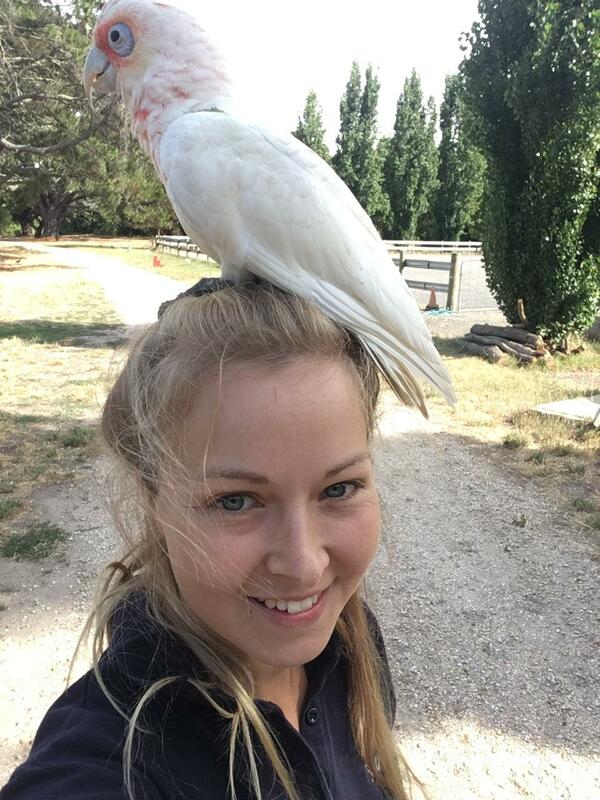 With the ability to fly with the free flocks but also have a comfortable roof to sleep under it will help him tremendously in adjusting back to the wild. Now he gets the best of both worlds, to fly freely with his own kind and also have a full belly every day while staying with you. In time he will likely spend more and more time with the wild flocks and they will teach him where to eat and how to survive. But even then he may still fly back to your property to get fed. You are doing a great job and doing the right thing in letting him choose! Keep us updated with him!